Wednesday, May 10, 2017, 7:30 p.m.
Each year, humpback whales migrate from their temperate feeding grounds to the tropics where they breed and calve. However, no one has ever observed humpback whales mating or giving birth (well, maybe once, off Madagascar). So what exactly do they do in those tropical waters? At least, while we're watching! At the May 10 RBDA meeting, join Bonny Doon wildlife photographer Jodi Frediani to learn more about humpback whale behavior when they are far away from Monterey Bay (hopefully, no presidential executive orders will prevent their returning) and their other feeding grounds. Jodi will share her knowledge and observations gleaned from more than 11 months spent on the calving grounds of the North Atlantic and South Pacific humpback whales. And she’ll tell stories about individual whales she has come to know. Her presentation will be illustrated with her outstanding photographic images, taken both topside and underwater. Jodi’s passion for whales and photography is palpable and contagious. Come learn about competitive ‘rowdy’ groups, dancing whales, singers and what moms and calves do during those long months when mom undertakes a total fast while nursing junior. Jodi worked for 35 years as an environmental forest and watershed consultant and animal trainer, but her life-long passions include photography, animals and anything to do with water. Those of you who were fortunate enough to attend the January 2015 RBDA meeting will remember her awesome images of the various marine animals who inhabit Monterey Bay. 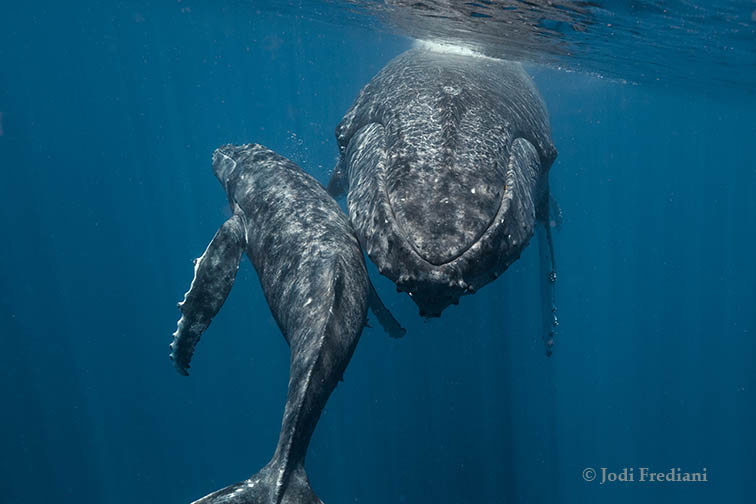 For the last 15 seasons Jodi has been swimming with and photographing the North Atlantic humpback whales in the warm waters of the Silver Bank Marine Mammal Sanctuary off the Dominican Republic. She has also spent time swimming with and photographing humpback whales in Tonga. 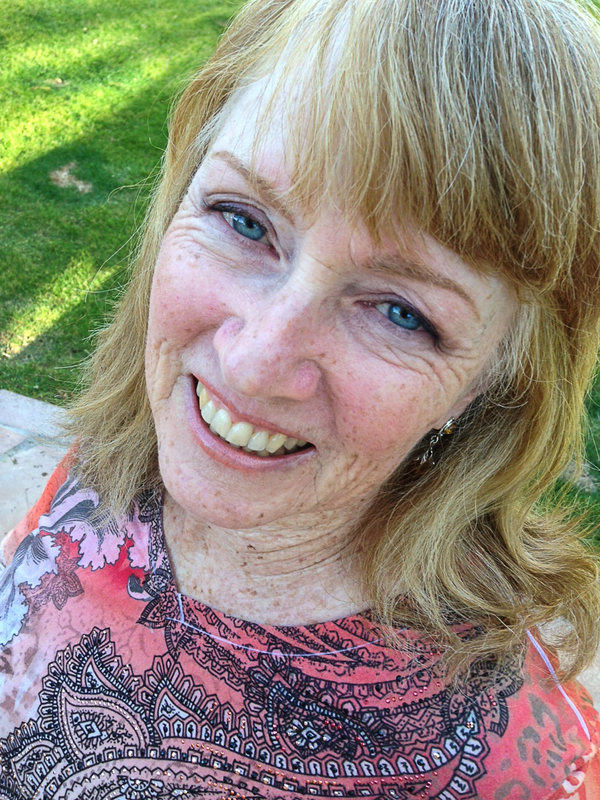 Her images have been featured in local, regional, national and international publications, and in TV shows, and may be viewed at jodifrediani.com. Once again, this will be a great show for the whole family. On April 13 UCSC Chancellor George Blumenthal announced publicly that the process to chart the university’s future beyond 2020 has begun. The plan is called the 2020 Long Range Development Plan (LRDP). However, it should be noted that every LRDP within memory has resulted in enrollment growth, which necessitates faculty and staff growth, all of which has major impacts on housing, transportation and water use in Santa Cruz. Roughly half the students live on campus, and a much lower percentage of staff and faculty and their families. 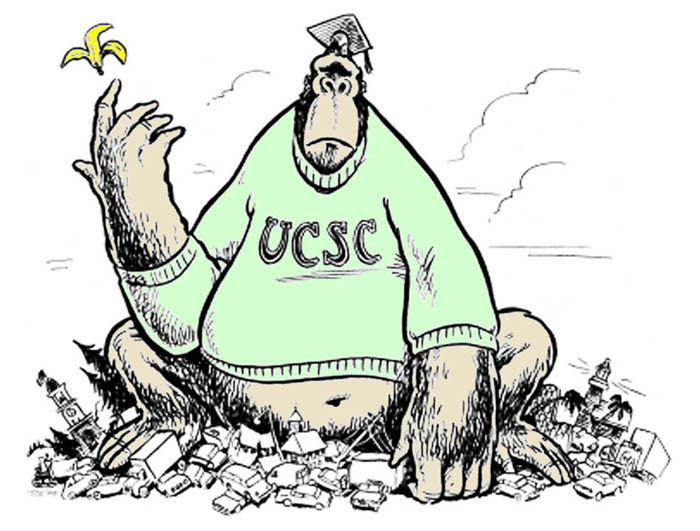 Today there are almost 19,000 students enrolled at UCSC, but the university claims the number for LRDP purposes is about 18,000 Full Time Equivalent students, because not all take a full load of classes, and some are in exchange programs at colleges elsewhere. The original target for the last LRDP (2005-2020) was 23,000, but after strong public opposition emerged, UCSC agreed to hold the number to 19,500. The 2005-2020 LRDP called for 3 million square feet of new buildings, much of which would have been sited on the North Campus, which is in Bonny Doon. Because of a lawsuit over that LRDP’s EIR, to which the RBDA was a party, and the Great Recession of 2008, which reduced the money available for construction, none of the building on the North Campus has occurred. UCSC was also held up by a second lawsuit that successfully challenged the EIR for the City’s supplying water to the North Campus, which is outside City limits. Enrollment at UCSC, as well as other UC campuses, is determined by the UC Regents through the office of the UC president. Campus chancellors may try to negotiate reductions, but their power is limited. The process whereby enrollment targets for individual campuses are set is opaque. Why, for example, aren’t the local carrying capacity and impacts considered? The process for creating an LRDP is long and complex and involves many meetings and studies. Chancellor Blumenthal has promised that there will be many opportunities for local residents, students and agencies to participate, but already interested students have told us they have been shut out of key meetings. There is a lot of discontent among students because of the increased size of classes, the difficulty in getting classes they need to graduate, and the conversion of study halls and other spaces into sleeping quarters to handle an extra load of students channeled to UCSC by the Regents last September, with another, even larger influx of frosh due next September. We will be following all this closely over the next couple of years, and we fully expect that another major political effort, and even perhaps another lawsuit, will be required to protect the rural nature of Bonny Doon and keep the North Campus unspoiled. On April 18, the Board of Supervisors adopted rules for personal cultivation of cannabis for non-commercial recreational marijuana cultivation, known as Ordinance No. 5242, which added Chapter 7.134 to the County Code. Chapter 7.134 declares that the regulations it contains are exempt from the California Environmental Quality Act (CEQA) “because it can be seen with certainty that there is no possibility that the activity may have a significant impact om [sic] the environment.” We hope personal growing doesn’t have a significant environmental impact, but we are concerned that increased rodent poison use accompanying outdoor cannabis growing will, in fact, have serious impact on our predators that eat rodents, including bobcats, foxes, raccoons, coyotes, pumas and avian predators (especially owls). 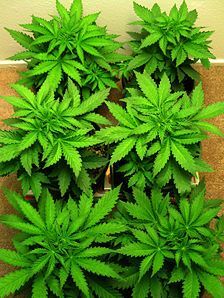 The Draft Environmental Impact Report (EIR) on the County’s proposed commercial medical marijuana cultivation regulations should be available for public comment later this spring, sometime between early May and early June. 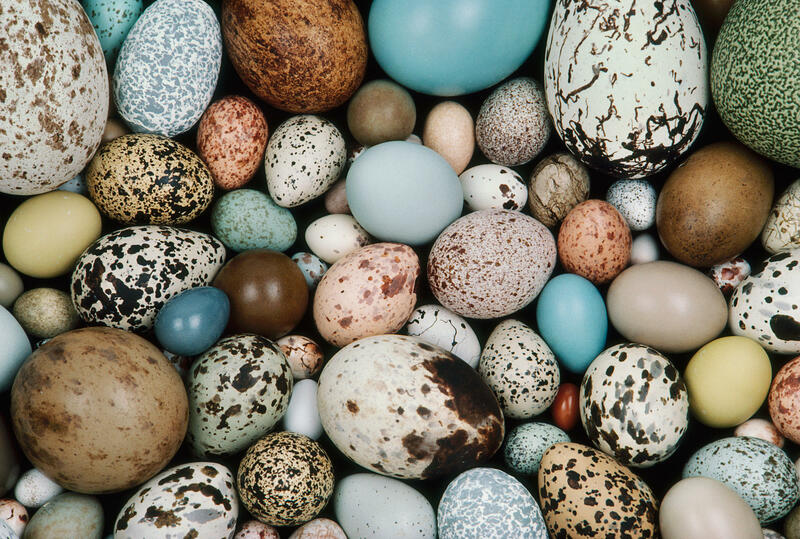 Once it is available for public consumption, there will be opportunity for the public and government agencies to comment by snail mail and email, and a public hearing. While the County has discretion on how long to keep the comment period open, and schedule the hearing, it is most commonly between 30 and 60 days from the date of publication. The firm Amec Foster Wheeler Environment & Infrastructure, Inc. is conducting the environmental impact study and will prepare the report. The Coalition for Environmental Santa Cruz (CESC), a group that includes several Bonny Doon residents and is supported by the RBDA, submitted extensive comments regarding what should be studied by the preparation firm. After receiving the written and oral comments, including from the Board of Supervisors and County departments, Amec will address the issues raised, after additional study, if deemed appropriate. 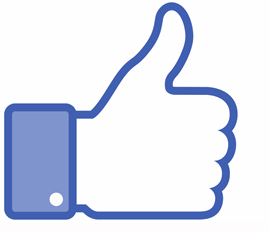 It will then publish a Final EIR and submit it for additional public comment and the Supervisors’ approval. North Coast Rail Trail Going Off the Rails? The dream: an offroad trail running from Santa Cruz’s west side to Davenport, where hikers and bikers can enjoy the scenery and not have to deal with Hwy. 1 traffic and the paucity of parking at the beaches. Eventually, it will be one section of a trail running the length of the County. 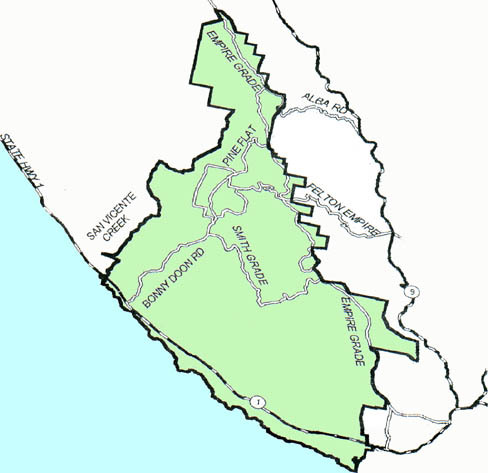 The segment from Westside Santa Cruz to Wilder Ranch State Park has been in use for years, and money has been raised for “Phase 1” of the trail’s northern section, an extension to Panther Beach, which could provide access to as-yet-to-be-developed trails at Cotoni-Coast Dairies National Monument. 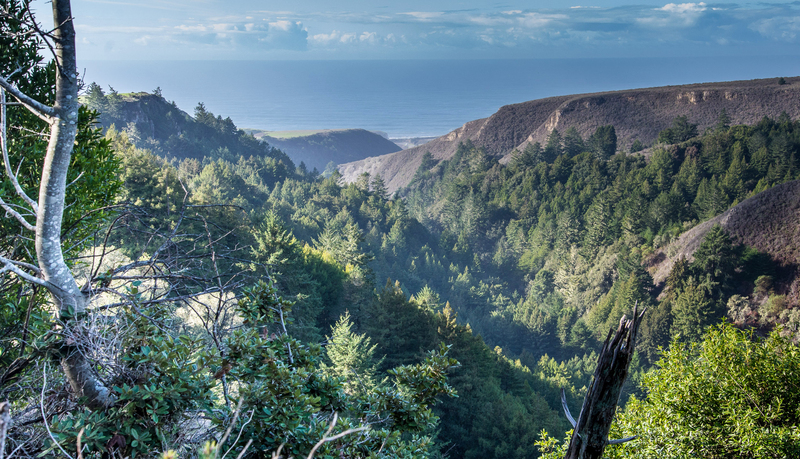 The 5.4 miles of Phase 1 has been promised funding from the federal and state governments, $6.3 million and $950 thousand respectively, plus $3.3 million raised by the Land Trust of Santa Cruz County. The surveyors checked the rights-of-way, and the design and route for a 12-foot paved trail and a parallel packed gravel trail of variable width, offset from the railroad tracks, has been completed. The trail was on track to open in 2020 or 2021. Sounds great, but don’t start pumping up your bike tires quite yet. There’s a big Oops! It turns out the right-of-way isn’t quite where the surveyors placed it. A double-check to verify their findings discovered that the fundamental assumption, that the middle of the existing railbed was the middle of the right-of-way, was flawed. The deeds describing the right-of-way turn out to refer to a long-gone track. 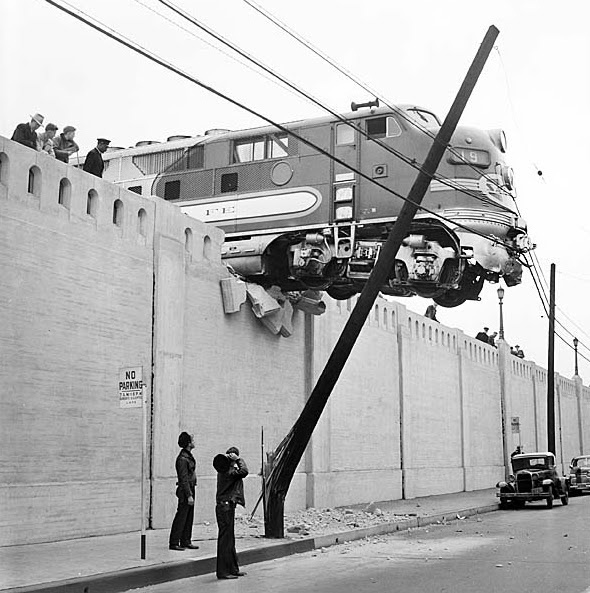 Another snafu: the recently passed Measure D transportation sales tax requires an environmental study of the option of removing the tracks entirely. Any significant delays endanger the trail’s funding. The government grants and Land Trust donation require that construction begin by the end of 2020. A long delay in final certification of the EIR for the tracks could jeopardize that, as could negotiating new rights-of-way with the State and farmers, some of whom aren’t fond of the trail and its potential impact on their operations. It’s further complicated by the fact farmers mostly lease the areas involved from the State, which appears willing to cooperate, but lacks the money and staff to do what’s necessary to comply. We hope, by the time Cotoni-Coast Dairies invites the public to visit, that the trail is open. Otherwise Highway 1, already congested and dangerous at popular times, as are the beach parking lots, will be even more impacted. Helped by community input, County Parks is developing its first-ever Strategic Plan. Many of us regularly visit Bonny Doon Beach, Scotts Creek and Greyhound Rock, not realizing they are County parks. In 1997 there was no legal place in Santa Cruz County to ride mountain bikes. Mountain bikers were considered renegades who despoiled environmentally sensitive areas. Today Santa Cruz is a destination for mountain bikers from all over the Bay Area, a large bike industry has developed here, and the local mountain bike community has organized and become more responsible, though a small percentage still go wherever they want and make a mess by riding muddy trails. Based on the outcome of a recent planning process held by the City of Santa Cruz, we can expect that there will be a lot of interest in creating more multi-use trails, along with partnerships with local organizations to develop and maintain them. Additional meetings are in Aptos Village County Park, 100 Aptos Creek Rd., Saturday, May 6, from 10 a.m. to noon, and in Live Oak on Thursday, May 11, 6:30-8:30 p.m. at the Community Room at the Simpkins Family Swim Center, 979 17th Avenue. Captain Susan Mason of the Bonny Doon Fire Team recently was honored as the County’s Volunteer Firefighter of the Year. Susan has been on the Fire Team since 2000, and is its only captain. She is also certified as an Emergency Medical Technician (EMT). Besides handling administrative duties, she is responsible for training, equipment maintenance, and driving the main engine. Bonny Doon, and many, many of its residents, owe a large debt of gratitude—and even their lives— to Susan for her services over the years, responding to medical emergencies, fires, rescues and accidents. We are very fortunate to have Susan and the rest of the Fire Team to respond when they are most needed. Congratulations, and a very large thank you to Susan, for an honor very well deserved. RBDA 60th Anniversary: Did You Serve on the RBDA Board? It’s a happy time for America, whose economy is booming, but clouds are on the horizon. 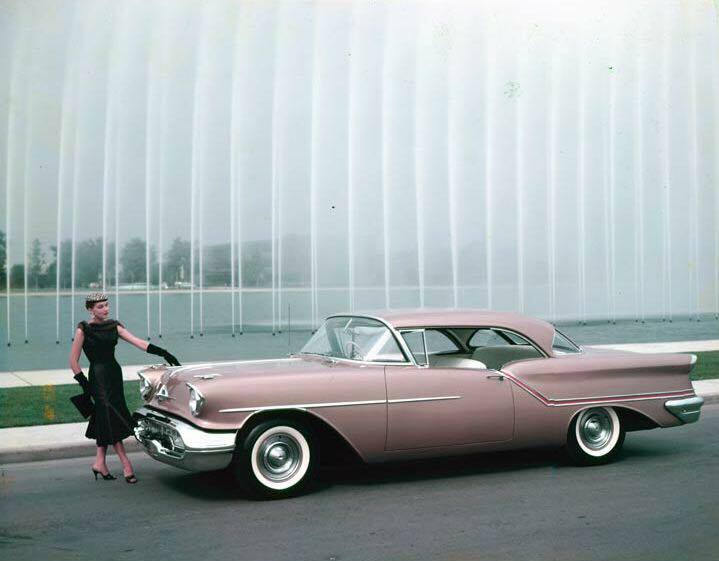 American made cars with crazy-long tail fins cruise the newly built Interstate Highways, but Toyota starts selling vehicles in the U.S.
American pride is punctured by the launch of Sputnik. The Viet Cong emerge in Vietnam. On the bright side, millions of Americans gyrate happily inside the newly invented Hula Hoop. On TV, Bob Hope, Lucille Ball and Groucho Marx have millions falling off their couches laughing. Poodle skirts twirl, and jeans are becoming the pants of choice for both men and women. And here in the Dooniverse, local residents who recently fought off the creation of a trailer park and halted the carving up of ranches into 1- and 2-acre lots organize themselves as the Rural Bonny Doon Association. To begin planning our 60th anniversary, we would love to talk to former RBDA Board officers to gather their remembrances of what was on Dooners’ and the RBDA’s minds over the various decades. If you ever served on the RBDA Executive Board, please contact the present board at board@rbda.us, or call one of the Board members at the phone numbers on this website. 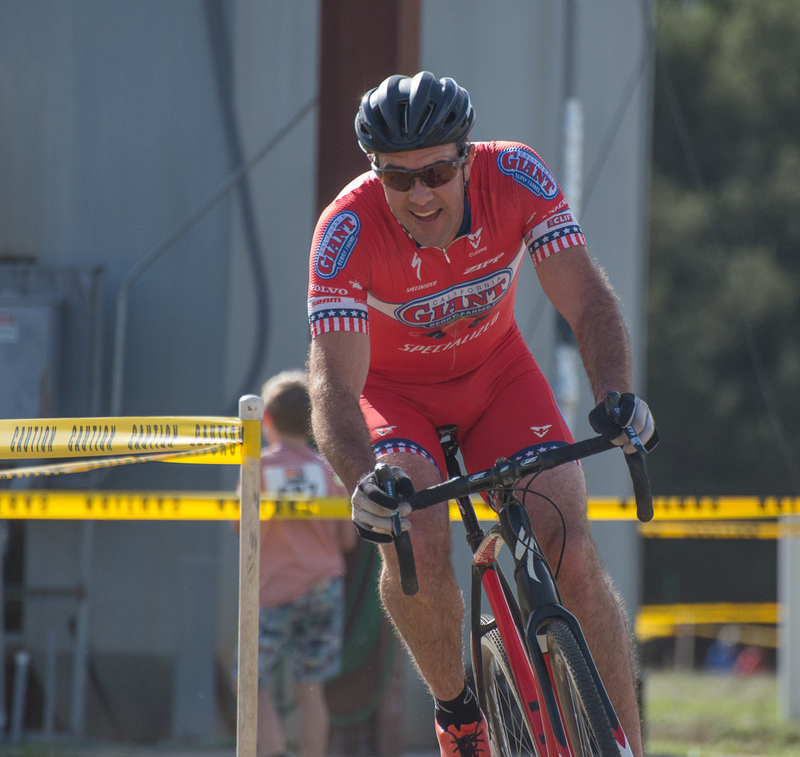 Last year’s Old Cabin Classic, the first mountain bike race in Wilder Ranch in more than 20 years, drew about 250 racers. MBOSC expects 400 racers this year, and 1,500 spectators, who are admitted free. There will also be a “kids rodeo” and food and bicycle industry vendors and artists at the Wilder Ranch farm buildings area.